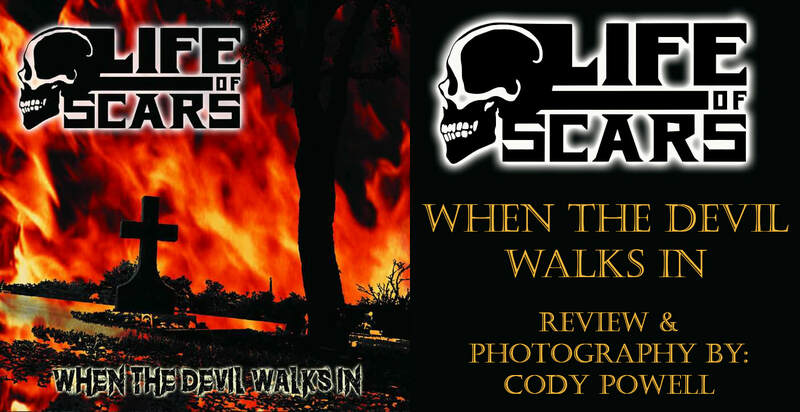 Life of Scars has recently released their debut album entitled When The Devil Walks In and Mr. Wayne Abney was kind enough to put a copy in my hands. I’m glad he did for two reasons, the first one being that it has completely blown me out of my tightly laced boots, and the second being that it’s so damn good it’s inspired me to get back to writing again. 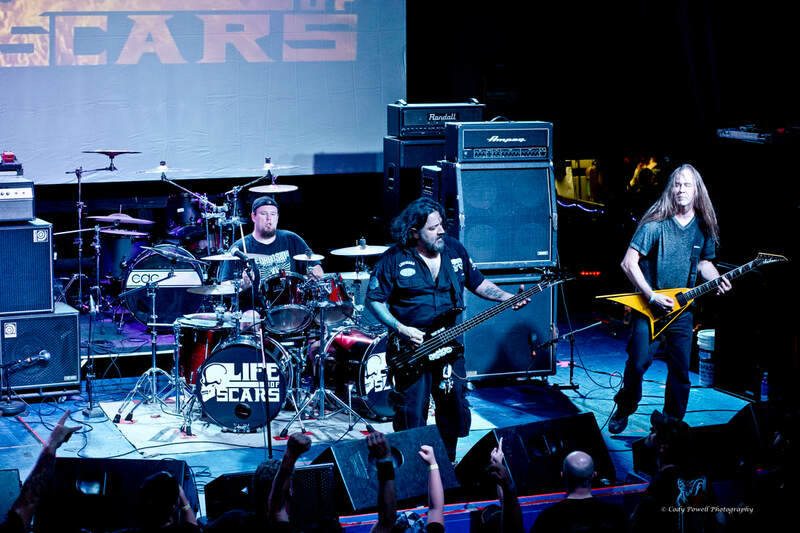 Life of Scars hails from the mighty metal scene of the Dallas/Ft. Worth area. The members are as follows, Wayne Abney on bass and vocals, Michael “Scratch” Huebner on guitar and Anthony Walker on drums. All three of these members have been on the thrash metal scene since the early 90’s, and have performed in such bands as Hammer Witch, DemonSeed, 12 Pound Pull, and Hell Goat. I first saw these guys back in July of 2017 at the now dissolved Rail Club in Ft. Worth, Texas and thought they were phenomenal! Now on to the record! ​This album contains seven original tracks and has two bonus tracks that are Hammer Witch covers, which are a refreshing throwback to the early days of DFW’s thrash scene. It starts with an intro entitled “DWI Intro” and we are introduced to the Devil walking in. He’s telling you that he will drag you down with him, and that this world is not for you. It’s quite an intense intro as his voice becomes gradually more demonic along the way, and we are immediately thrown into the title track “The Devil Walks In”. Typically title tracks don’t do much for me, but this song struck a personal chord with me lyrically, as it instantly got me thinking of my current battle with addiction and my new found sobriety. I could go on and on about each individual track on the album, but what would that leave you to discover on your own? On a production level it was done perfectly. The mixing of the levels makes it easy to hear all of the instrumentation without question, which in turn makes it fun and easy to listen too. Musically it’s an outright masterpiece that will undoubtedly grind your bones to dust. It’s chocked full of thunderous drums and bass, along with pounding guitar riffs, and insanely fast, technical solos. Lyrically it will have you questioning the sanity of this fucked up world, but at the same time give you solutions on how to deal with it. I think it would be wise of all metal fans to have this in their collection because after all, everyone has a life of scars. I’m glad I do!